The importance of communication skills cannot be overemphasized. The job market is changing from what it was even 10 years ago. Today, companies value people who can get the job done over those with a bunch of educational credits attached to their names. They’re willing to pay good money for soft skills. That means you have to set yourself apart with the ability to communicate. How do you do that? Glad you asked! We’ve put together an essential guide, coming up with 21 skills that you absolutely have to have in today’s world. Let’s not waste any more time going on about it. Here they are. The first of the communication skills that you need to master is the ability to ask questions no one will see coming. What does that mean? It means looking at a problem or challenge (or even person) from every possible angle to think up what no one else is thinking. Ask any celebrity who has done several interviews, and they’ll usually tell you there are questions they get sick of answering. For women CEOs, it may be something like, “Tell me what it’s like being a powerful woman in a male-dominated industry.” They get it. It’s unique. That’s typically not what they want to talk about because they got to where they are by having business acumen and intelligence. When you pressure yourself to think outside the box and ask questions no one else is asking, people will enjoy communicating with you more. Many of the best exchanges in an interview come from follow-up questions. 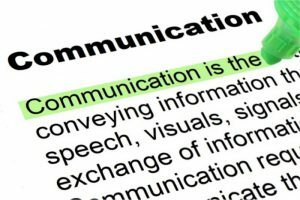 This holds true in day-to-day communications as well, hence why we’re including it in our list of important communication skills. The ability to answer good follow-up questions starts with going all-in on the listening part of communication. Try to process and parse the words the other person is saying with a Who-What-When-Where-Why-How attitude. If you can master this skill, then you’ll be able to draw more out of each and every conversation. There is nothing more aggravating to good communicators than going to lunch with someone and having to sit there in stone cold silence as the other person tends to calls and text messages. As a society, we’re losing the ability to put away these so-called “smart” devices and focus on a genuine conversation. Recommendation: every time you find yourself talking to someone, have the mantra that they are the first priority, not anything happening via text, social media, or phone call. Pay them that respect, and they will likely return the favor. This establishes the right environment for meaningful communication, and it helps people and teams in the job market function at a higher level. Second recommendation: if you find yourself victimized by one of these phone-gawkers, politely ask them if there is a better time you can come back and talk about the matter. Either they will give you a better time or it will shake them out of their phone obsession long enough to engage. Social media mobs have done more to ruin civil discourse, basic communication, and human decency than any phenomenon of the last 50 years. For the uninitiated, a social media mob is this: they observe someone’s personal and public stumblings or they take an unproven accusation against that person and then “mob” them with negative messages while also applying pressure for boycotts and the like. People who engage in social media mobs are engaging in what Freud would have called id behavior. They’re also usually massive hypocrites and cowards. And here’s the thing: what the person did or whatever they were accused of doing can be pretty friggin’ bad and worthy of scorn. But that doesn’t make the social media mob virtuous. Not in the least. It’s always bad. No exceptions. c) it usually takes place in a venue that doesn’t allow for civil discourse or an adequate presumption of innocence until proven guilty (looking at you, Twitter). Innocent people (as well as guilty) have lost jobs, and businesses have lost revenue for no other reason than a bunch of people got mad at them on a social network. While boycotting can be healthy if you’re going into it with a full comprehension of the facts, that’s usually not what you see from the brain-dead masses on both sides of the political aisle via Twitter. People tend to enjoy talking to those who are calmer and more collected so this carefulness will ingratiate you to friends, family, and future employers. Eye contact is generally looked at as a good thing when it comes to communicating with others. But there is such a thing as too much. Just go to any crowded public place, pick out a total stranger, and stare at them the whole time if you don’t believe us. A far better approach than constant eye contact is to establish it early and then engage in the act of intermittent hold-and-release. That means you allow your eyes to move between different focal points (people or objects) in a way that conveys you’re listening but not obsessing. You have to give people a break from your gaze just like you need to give your eyes a rest. Breathing is an important part of your communication skills toolbox because it reminds you to slow down and focus on the delivery of the message as well as the content. When you are aware of your breathing, you’re able to control the nonverbal aspects of communication that are so important to establishing and growing strong relationships with your professors and classmates as well as your future employers and co-workers. Recommendation: go to a silent room for a set period of time. Get comfortable. Close your eyes. Try to block out any possible distraction. Then, count each breath, whether shallow or deep, until you establish a discernible pattern. Keep counting until you lose track and the breathing polices itself. The above exercise will play with your perception of reality to some degree. You won’t be entirely sure whether you’re asleep or awake at times, but you will maintain some level of consciousness. Do this enough times, and it becomes easier to prepare for tense communication situations that you may encounter at school or at work. This is a tactic perfected by some of the best journalists in the world. They will ask a question and get a short answer. Pause. Allow the pause to linger. Before, inevitably, the short-answer interviewee continues, divulging more details than they may have planned to. Beyond helping you parse your words and communicate more effectively, being slow to speak can help you shift the balance of control or power in your favor. People who are able to control conversations go further in life than those who don’t. It should be noted that controlling a conversation doesn’t mean dominating it or not allowing another person to get a word in edge-wise. Putting people in the position where they feel like they have to say more is as much a baller move as any soaring speech you might be able to give. By using silences to your advantage, not being the first to speak, and placing most of your emphasis on the listening, you can come out ahead in any in-person form of communication. Nothing says, “Guilty!” like uttering the words no comment. While that’s a long-held rule of public information officers and communications directors, it also is something to keep in mind if you’re working in another industry. That’s because it says something about your ability to work well within the realms of transparency. Technology has been one of the greatest enablers of transparency. These days, you have to assume that every phone, pen, or Sausage McMuffin is loaded with a recording device. If you don’t have a warm relationship with transparent business practices, then you’re setting yourself up for future failure by being the person of whom everyone always is suspicious. If you learn anything from this section, learn this: always look for ways to show you’re approachable even if you fail to have every answer. From the public information/communications perspective, a better answer would be, “I don’t have an answer to that right now, but let me get back with you when I can get some clarity.” Follow that up by getting the answer and sharing it with others. The lesson every industry can learn from this: it’s okay to not have all the answers, but coming across like you’re trying to hide something will make you seem untrustworthy and put a pretty big target on your back. You’re not going to get along with every person that you encounter. That’s a fact of life whether you’re still in school or out in the workforce. Sometimes the people or situations that rub you the wrong way will be those that have influence or sway over your advancement. It’s important that you’re able to jump through whatever hoops you have to jump through if you plan to move into a better situation down the line. For those of you with temper issues, working on your breathing patterns will help. It’s also a good idea to visualize some best-case scenarios for keeping your cool as well as some worst-case scenarios for losing it. Putting these somewhere at the forefront of your brain will help you behave in a calmer and more collected way when work or school conflicts arise. We currently live in a society where everyone who disagrees with us is either a godless communist or a right-wing Nazi. If you’ve ever heard someone shut down a conversation with some variation of those two accusations, they’re likely the true problem. Whether you like it or not (and whether social media facilitates it or not), you’re eventually going to have to live and work in the real world, and that means sharing office space with the MAGA-hat-wearing Trump supporter or the pink-hat wearing participants of the Women’s March. People who can engage in civil discourse with their polar opposites will always find more success than those who decide they are simply above trying to find common ground. Do not be one of those latter types of people. If you are, then you share significantly in the blame for making this world a crappier place to be. Part of communicating well at work and at school is taking time to yourself to devise creative communication strategies. That can be done in front of a computer — for a while. But the longer you catch yourself staring at a backlit screen, the more likely you’ll be to go down the proverbial rabbit hole of useless (in the moment) information that moves you no further toward your goal. A better idea is to get and stay active while doing your creative thinking. Go for a long walk while mulling the situation over in your head. Hit the treadmill. Establish a routine of activity, and you’ll stay sharper in communication situations. You’ll also enjoy better health and a longer quality of life. Being able to make fun of yourself is one of the most helpful icebreakers for putting others at ease around you. It also allows you to reapproach the rest of the communication with a greater sense of confidence. Embrace the ability to poke fun at yourself along with any other icebreaker strategy that helps you better connect with classmates, teachers, and future colleagues/employers. Icebreakers of all types force you to “put yourself out there” and being able to have a good-natured laugh at your own expense prepares you for doing just that. 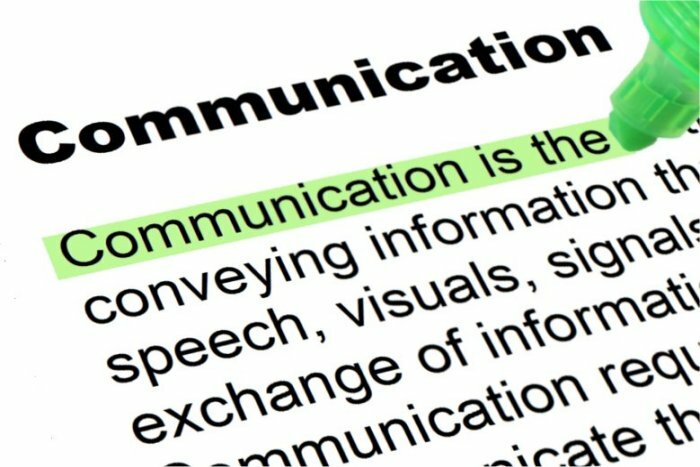 To become a better communicator, you have to read, listen, and watch other sources of information. That’s because taking part in all those activities will allow you to come to any conversation from a position of intelligence. But, as with nutrition, these bits of “brain food” are garbage-in and garbage-out. In other words, if you do nothing but listen to Alex Jones all day, then you’re going to sound like him when communicating with other people. That’s not to say you shouldn’t listen to Alex Jones. There’s always value in knowing the different viewpoints that are out there, however Nutty Bar they may be. But you need to balance it out with other opposing sets of data and information in order to draw reasonable and educated conclusions. Recommendation: use our “is an idiot” rule. Find a viewpoint you agree (or disagree) with and type in the name of that person plus “is an idiot.” You’ll find a wealth of websites that will explain exactly why they think that person is an idiot. Then, do the reverse exercise to whomever the top thought leader from the first search turns out to be. You’ll find in a hurry that for every viewpoint, there’s an alternative. Sometimes that alternative makes sense. Sometimes it doesn’t. But you do need to expose yourself to all types of views, even if you find them reprehensible. The ability to hyper-focus on something is useful whether you’re communicating through difficult conversations or moments or becoming an expert at a topic of some kind. On the topic front, being able to get into a subject on a granular level will take you from the 10th percentile to the 90th percentile of people who know the information in a hurry. On the direct communication front, hyper-focusing is useful because it allows you to pinpoint areas of disagreement as well as not get so carried away with disagreements that you end up losing your cool. As the saying goes, the coverup is almost always worse than the actual mistake. We live in a world where people have difficulty taking ownership of their mistakes. They fear the consequences of getting caught worse than they do the consequences of concealing the mistake and then getting caught. They should be far more afraid of the latter situation, not the former. When you own your mistakes, you send a signal to employers that you’re not the type of person who is going to sweep mistakes under the rub and make them worse. It may feel inconceivable at the moment that your mistake will work out in your favor. But organizations value someone who takes steps to fix a problem, even if it’s their fault because they know the alternative of getting caught “down the road” is way worse. It goes back to transparency. Technology makes it really difficult to “get away with something” these days. So don’t put yourself in the situation of potentially making things worse. Be honest. As Mark Twain says, you don’t have to have as good of a memory that way. By implementing more foresight into your interactions — both at school and on-the-job — you can avoid a lot of mistakes. That’s because you’re trying to see how things will play out from multiple points of view. If something can go wrong in six different ways, then foresight allows you to isolate each method as well as a path to avoidance and a path forward. Foresight engages the part of your communication abilities that is slow to speak and quick to listen. Use it every chance you get. No one lives in a vacuum, and it’s incredibly difficult to accomplish whatever your definition of success is without first engaging the right partners along the way. That’s true at school, and it’s true at work. Use your communication skills to establish beneficial relationships with people who can help you get to where you want to be. But remember that part of choosing your tribe means learning how to operate within it. You need to learn their personalities and their subtleties so you can adjust your behavior to the group and the situation. In a job interview situation, this would mean researching the company and the position you’re interviewing for before you go into the room. On-the-job, it means coming to meetings prepared for the topic at hand. The amount of research you’re willing to put into a topic is directly indicative of your level of respect for it. And having respect for the conversation means having respect for the people you’re having the conversation with. Imagine a situation where you’re having to tell someone their brother died. You wouldn’t go into that situation laughing or joking, even if you had no idea who the brother (or the person you’re telling) was. You would observe the seriousness of the situation. You would put on a somber face. You would deliver the message with clarity and regret. Compassion is important. You need to show it in your conversations with others, at least the ones that call for it. And if it doesn’t come naturally, you have to figure out a way to “sell it” where it seems like it is. Mastering compassion will help you control a number of other emotions appropriate to the situations in which they’re best used. At a certain point in life — particularly your work life — you will have to take a leap of faith and bet on yourself outside of the confines of your comfort zone. People do not attain greatness in their comfort zones. That’s because they get too complacent and allow others to overtake them. If you feel like you’ve gone as far as you can with a class or job, then you need to collect your thoughts, strategize, and challenge yourself to come back doing something that makes you uncomfortable. By testing those limits, you’ll grow beyond what you’re currently capable of, and you’ll be well on your way to becoming a better communicator no matter where you end up in life. These communication skills offer a pretty comprehensive path for your life in the job market. That’s why we’re giving them to you now while you’re still in school. It’s never too late to start getting good at them. Good luck! Interview IQ: What Is It, And How Do You Improve It?